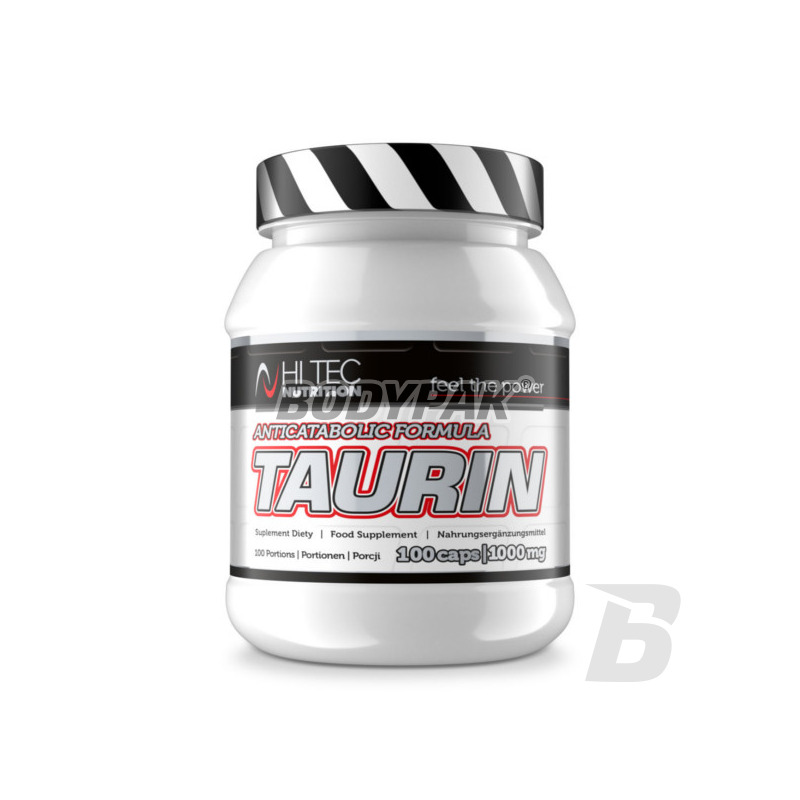 Amino AcidsHi Tec Taurin - 100 kaps. 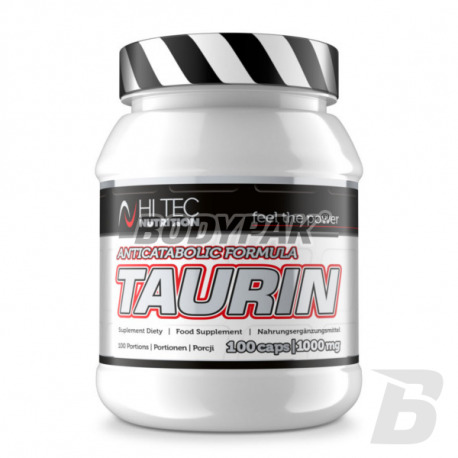 Hi Tec Taurin is an amino acid source - taurine, which is present in higher concentrations in muscle, liver, brain and central nervous system. Like glutamine, fully function in the system storage for inorganic nitrogen. The free form is present in the muscles in second place after the glutamine and is an important regulator of water and electrolyte. Working in conjunction with glycine buffers probably the work of this transmitter. This amino acid has the ability to stimulate the synthesis and secretion of anabolic hormones, mainly insulin and somatotropin. It works on oszczędzająco transformation of sulfur amino acids pro-teogennych - methionine and cysteine. Taurine decreases production of neuromediator - serotonin. Produced and released during exercise in excess serotonin acts on the muscles of an athlete, as a catabolic hormone. Taurine, inhibiting the production of serotonin, reduces the catabolism of exercise, resulting in the body does not feel fatigue during intense training. In an effort load conditions, taurine maintains long a high concentration of calcium ion in nerve and muscle cells. Thanks to this effect shows a synergy with caffeine.